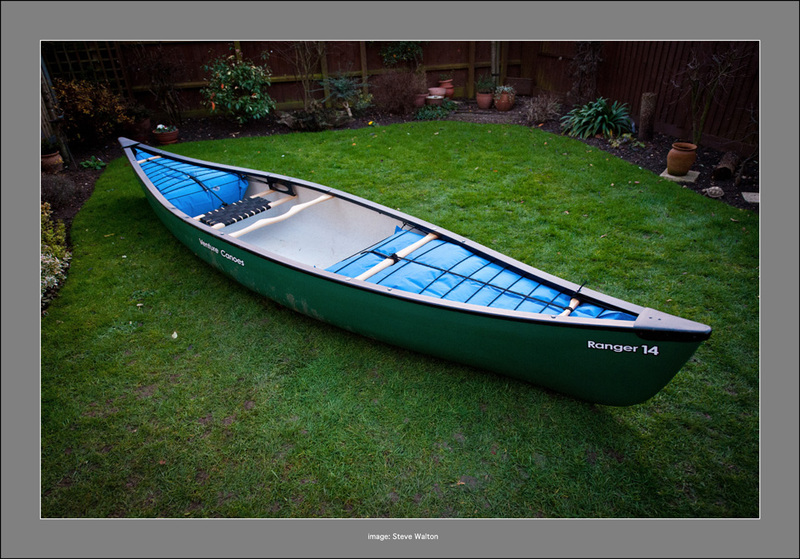 Back in October 2011, I blogged about what I intended to do with my new boat. Now that Christmas is gone and today's weather forecast was dry and sunny all day, I decided to work on my Venture Ranger 14 outfitting in preparation for white water. The job is fairly straightforward, the only frustration was in not being able to fit the new, and very nice, wooden seat hangers. The seat hangers are sold as a kit with four 6" stainless steel bolts with washers and nylock nuts. What should be a simple swap for the ready fitted alloy hangers is an impossible task. The bolts are about 2" too short. Taking the depth of the gunnel and seat frame into the equation, the ends of these bolts will not extend through the seat frame! This is absolutely absurd, these kits are widely sold by UK canoe suppliers and a bit of searching on the right canoeing forums revealed that the problem is well-known. What is worse is that the same bolts in a longer length (I need 8") are not available, and yet this kit is being sold when it is clearly unfit for it's purpose. The only work around that I can see is to buy threaded bar and cut it to the required lengths. This will mean using nylock nuts above the gunnel and below the seat frame. This is not what I want, aesthetically it would look silly and four nuts protruding above the gunnels would be waiting to skin knuckles and damage clothing and equipment. No thanks, I'll have my money back. If anyone reading this is thinking of replacing their seat hangers with these wooden kits, beware. Make sure that the supplied 6" bolts are long enough! So, back to Seat Hangers Plan B. As this is to be a solo boat, the as-sold bow seat will be the seat. This seat is angled for tandem paddling. It was a simple job to unbolt the alloy hangers and turn them around to angle the seat in the opposite way for solo paddling. 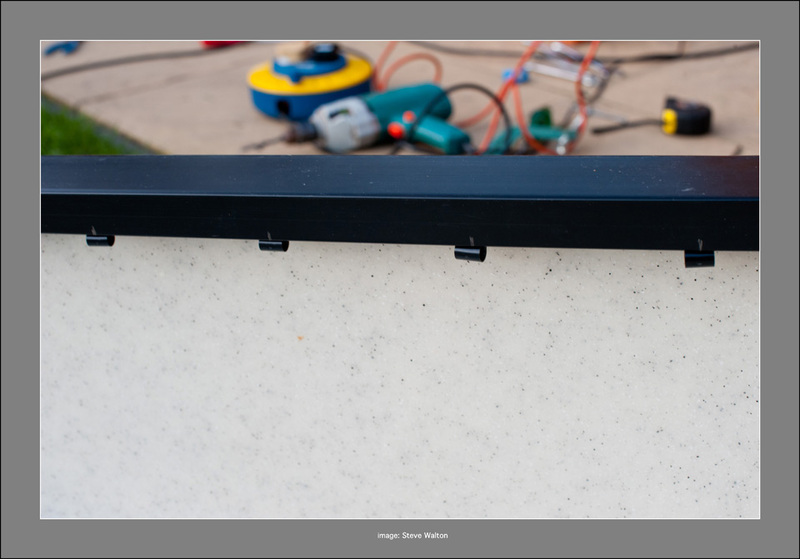 The existing bolt holes through the gunnels miraculously lined up with the reversed hangers and no drilling was needed. The front seat assembly was removed and stored away as it is not needed. I made up a new varnished ash thwart to retain the structural integrity of the hull and fitted this, using the 'wider' pair of seat hanger holes. Next was to drill the deck plates and pop-rivet 0.25" 'P' clips underneath to tie-in the airbags. I have used a 60" airbag in the bow and a 48" airbag in the stern. This leaves a good mid section available for carrying kit and camping gear. I found it best to attach the pointed end of each bag first and then partially inflate the airbags to work out where the two wide-end eyes would be. This is quite important, you need to work out where the last pair of 'P' clips should be to match the eyes of the airbags. Once I had determined that, I pop-rivetted 'P' clips along the underside of each gunnel at 4" apart. Although more common in practice and probably less fiddly, I am not a fan of drilling the hull and threading line through the holes to lace-in airbags. I think it spoils the aesthetics of the boat and to drill multiple holes in an otherwise perfectly sound and seaworthy hull seems silly to me. I prefer lacing the bags in by using 'P' clips under the gunnels because they are out of sight, despite the added work of riveting the clips. Each to their own! 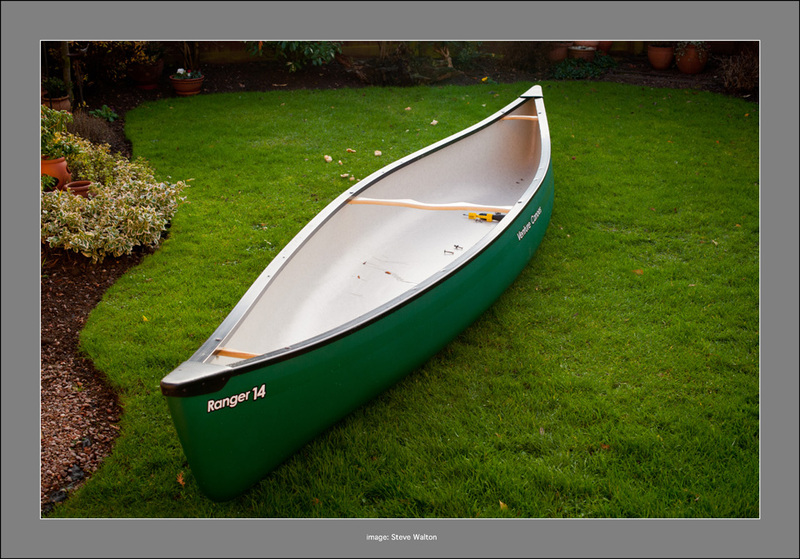 Seat hangers apart, I've turned the Ranger 14 into something I wanted to get back into paddling white water again. A little heavier and a little slower than other canoes, the Venture Ranger 14 in polyethylene is more durable and a more reasonable cost option. I'll probably have to play around with the seat position, it may need moving forward a couple of inches. If so, the yoke will be removed as it is as close as I want it with the seat in it's present position. Time will tell. 'P' clips for airbag lacing pop-riveted under the gunnels, out of sight. Seat hangers reversed and seat assembly re-fitted, new ash thwart fitted and airbags laced-in: 60" bow, 48" stern. Good to go!